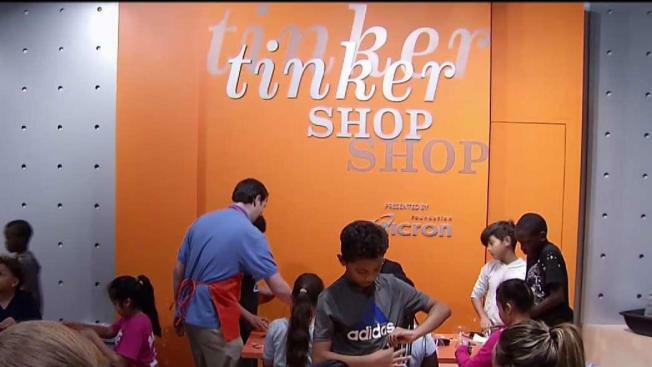 An interactive museum in Northern Virginia provides hands-on learning to get children interested in science, technology, engineering and math. The people who run the Children's Science Center at the Fair Oaks Mall in Fairfax promise to make science fun. Children can rotate among several exhibit rooms and see the science they read about in text books come to life. “We might be learning about spectrometry, we might be building new hover crafts and testing them in the wind tunnel,” Executive Director Nene Spivy said. “They’re not sitting in a classroom having to be still listening to a teacher talk,” mother Christine Kromis said. The center also takes experiments on the road. “Taking our program out to schools is really critical to making sure we expose all children in our region to the wonders of science,” Spivy said. Reported by Leon Harris, produced by Michelle Montgomery and edited by Scott Eisenhuth.